Welcome to Weedit-it Collective Association home page. We are a non-profit medical marijuana collective, operating under California state law under California Attorney General Guidelines for non diversion. Weedit-it Collective Association medical marijuana delivery service is always fast and always discreet. We are fully compliant with the California Attorney General Guidelines. Our member based medical marijuana delivery association is formed for the mutual benefit of it's patient members and all necessary paperwork has been filed with the Secretary of the State of California. 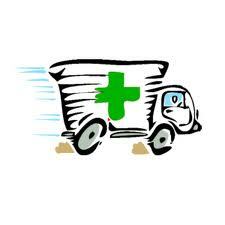 Our medical marijuana delivery service always fast and always discreet. We are fully compliant with the California Attorney General Guidelines. Our member based medical marijuana delivery association is formed for the mutual benefit of it's patient members and all necessary paperwork has been filed with the Secretary of the State of California. Our collective delivers in Sacramento, South Sacramento, Citrus Heights, Fairfax, Vacaville, West Sacramento, Elk Grove, Roseville, Del Paso Heights, Rancho Cordova, Carmichael, Orangevalle, Folsom, North Highlands, Fairoaks. We work with medical marijuana farmers all over California, who cultivate only the best medicine for the members of our collective. When you become a member of Weedit-it Collective Association you can be assured you're going to receive the very best medical marijuana grown in the great state of California. If you would like to become a member of Weedit-it Collective Association and receive medical marijuana today, please fill out our membership application. If you are having trouble filling out the application, call us and we can help you in the process. Our drivers will deliver your medical marijuana very discrete right to your home or office location. Orders are typically delivered within one hour after verification." If you would like to become a member and receive medical marijuana today, please fill out our membership application. If you are having trouble filling out the application, call us and we can help you in the process. We will deliver your medical marijuana right to your door. Weedit-it Collective Association services are legal under California law and 100% safe. All you need to do is follow the instructions and you can receive your medicine today, in most cases in as little a 1 hour. Must be 21 years of age or older, with a valid California ID. Must have a current and valid recommendation from a certified doctor. A. Fill out the online application. D. You must give them to us at the time of the meeting. E. When we meet you must sign the Membership Agreement and Membership Rules, we'll have them ready for you to sign, you can click on the links to read to familiarize yourself with them. F. Once all paperwork is signed and we have the required documents, you can obtain medicine at that time.